When you step back and look at the long-term trends, it is undeniable what is happening to us. We are in the midst of a horrifying economic decline that is the result of decades of very bad decisions. 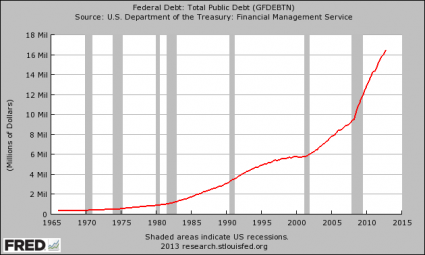 30 years ago, the U.S. national debt was about one trillion dollars. Today, it is almost 17 trillion dollars. 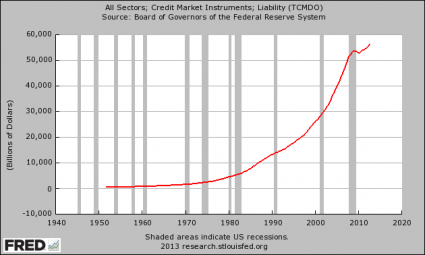 40 years ago, the total amount of debt in the United States was about 2 trillion dollars. Today, it is more than 56 trillion dollars. At the same time that we have been running up all of this debt, our economic infrastructure and our ability to produce wealth has been absolutely gutted. Since 2001, the United States has lost more than 56,000 manufacturing facilities and millions of good jobs have been shipped overseas. Our share of global GDP declined from 31.8 percent in 2001 to 21.6 percent in 2011. The percentage of Americans that are self-employed is at a record low, and the percentage of Americans that are dependent on the government is at a record high. 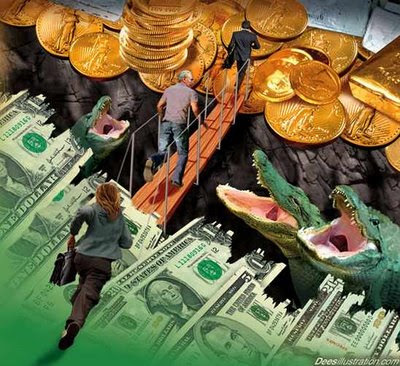 The U.S. economy is a complete and total mess, and it is time that we faced the truth.